Are you ready to make history, again? This Saturday, August 24, the 50th Anniversary on the March on Washington will be honored and celebrated with a commemorative march and rally along the historic 1963 route. Before the march, a rally will be held at the Lincoln Memorial from 8 a.m. to 12:30PM including speakers and entertainment. Step-off for the march begins at 1PM. 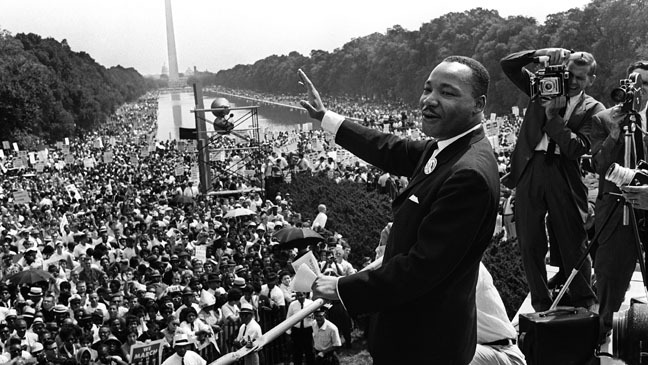 The march route begins at the Lincoln Memorial, proceeds south to travel along Independence Avenue, with a stop at the Martin Luther King Memorial and then proceeding on to the Washington Monument. Following the march, attendees can head to the Global Freedom Festival kicking off today on the National Mall. The festival will include four days of education, entertainment and activities that focus on advancing freedom throughout the world. Before the march, a DC Statehood Rally and March also will take place at the DC War Memorial, 900 Independence Avenue, SW at 8:30AM. Rally participants will attend a short program before marching as a group to the Lincoln Memorial for the national program to commemorate the 50th anniversary of the 1963 March on Washington. I hope that the march will inspire many attendees to get active in their community. For me, there is still hope that we can change our communities for the better. You don’t have to march or rally, but you do have to commit to a cause. Now honestly, all this is easier said than done. And I am not sure what will motivate people to volunteer, lobby, or give to a person in need. For me, I just think about the countless people who poured into my life through their words, time and knowledge, and my gratitude compels me to pay it forward. I actually believe that if more of us took the time to appreciate and give thanks, we wouldn’t take so many things for granted and would be more willing to lend a helping hand. There but for the grace of God go I. As the summer comes to an end, there are some good shows and events worth checking out. Check for more info after the jump. 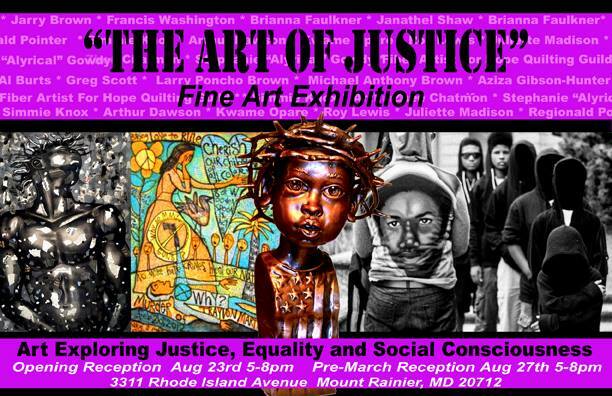 The opening reception for The Art of Justice will be held on today, 8/23. Bringing together the artwork of over 40 local and national artists, the exhibit honors the 50th Anniversary of the March on Washington. The exhibit features works from a range of different genres. The Art of Justice reflects the artists’ perspectives of the historical and current state of justice in the U.S, as well as the continuing fight for racial equality. The Art of Justice is striving to encourage a “new generation of social awareness” to shape future activism for social justice. 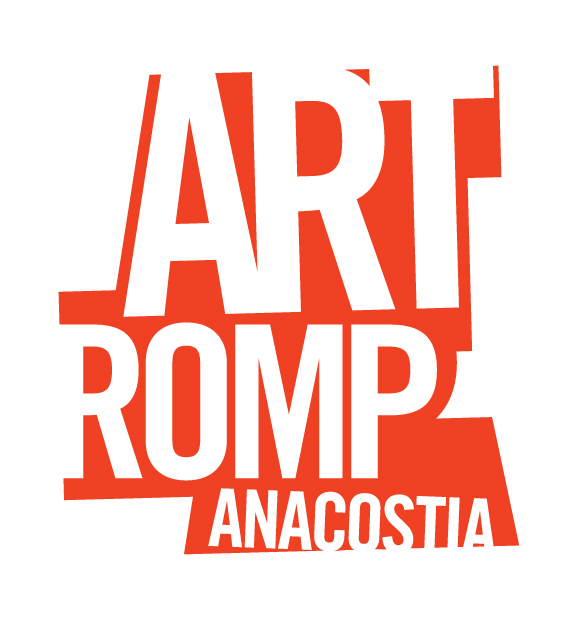 ART ROMP ANACOSTIA OPENS AUGUST 23rd. After a nearly 6-year hiatus, the exciting group exhibition makes a comeback…east of the river! Anacostia Arts Center and Curator Molly Ruppert (of Warehouse Arts Complex) are excited to bring the notorious group show, “Art Romp” to Anacostia. The exhibition will feature over 50 artists from all sides of the river, exhibiting many modes of artistic expression–including painting, photography, quilting, performance art, new media, and sculpture. In addition to the hanging out with the art and artists, enjoy beats from DJ “nick tha 1da,” short performances from movement-based rock band Tia Nina and verbal gymnast John Johnson, light snacks, and a cash bar. Party Time! It’s been three years since BicycleSPACE opened and we want to celebrate with you. 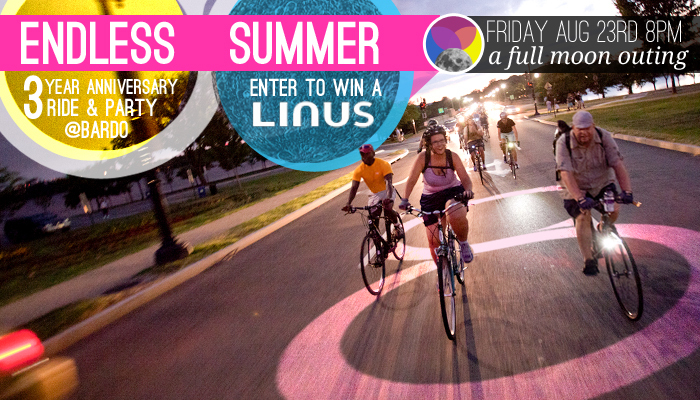 We are inviting everyone to join us for another Full Moon Outing as we ride through the city on a pleasant night . 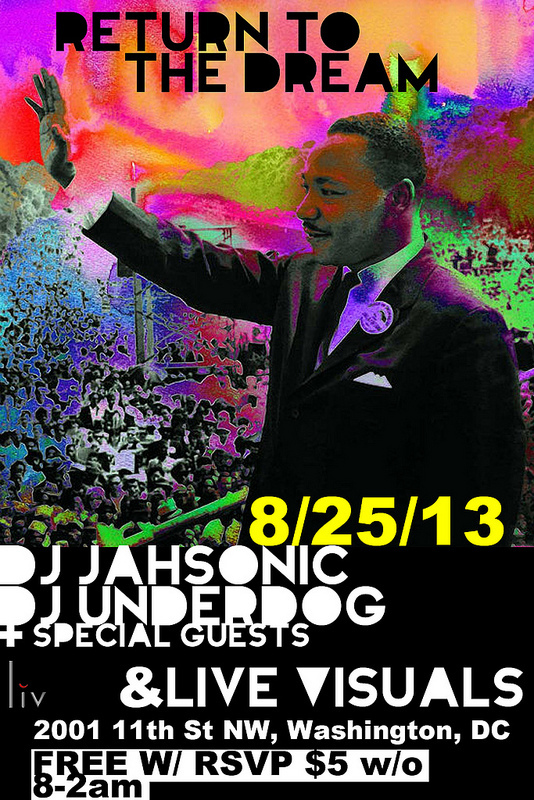 After the ride, we are hosting an Anniversary Bash at Bardo, a unique outdoor bar located near H St. It’s time to enjoy the endless summer! 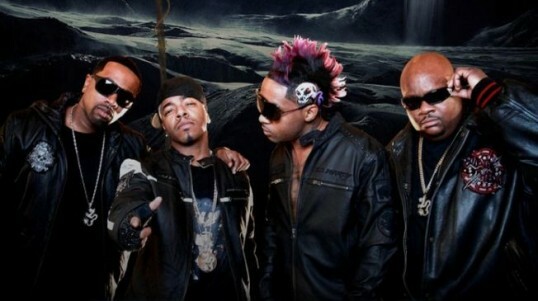 From San Francisco, The Prince and Michael Experience http://bit.ly/pvsmj returns to Washington DC! Prince and MJ fans celebrate on the dance floor as DJ Dave Paul mixes album cuts, remixes, rare tracks and hits from the two artists. MJ tribute by Aamir Smith from New York, PRN tribute by Marcus Scott from Chicago. This is the 200th party, come celebrate! Beautification Day will be held this year on Saturday, August 24, 2013 from 9 a.m. to 1 p.m. (please note the new start time.) This annual DCPS event was established in 2005 as a citywide “spruce up” of all DC public school buildings in preparation for the first day of school. Beautification efforts will include landscaping, trash pick-up, light painting, planting flowers, and other external beautification efforts. Volunteers and supplies are needed at over 100 schools. Please click the links below to volunteer or donate supplies. 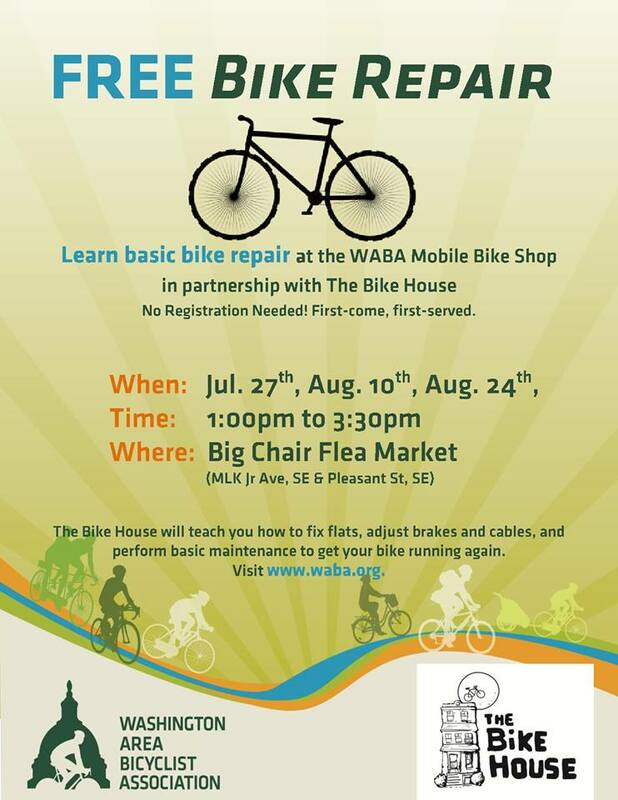 by The Bike House and WABA. 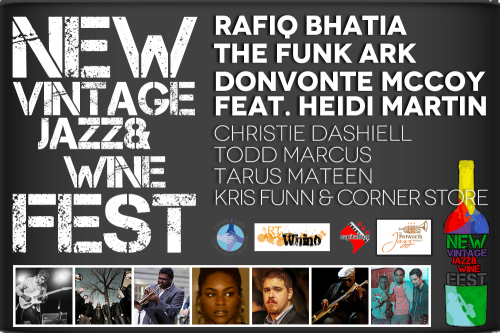 Come relax at the Fairgrounds, a beautiful outdoor venue across the street from Nationals Park, sample over a dozen world-class wines, and experience the latest sounds in modern and classic jazz. With live music from the Funk Ark, an Afrobeat dance ensemble from D.C.
k-os, born Kevin Brereton, is a genuine neo-crossover rap n’ roller. 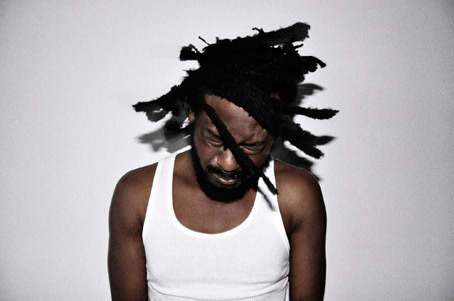 k-os’ music incorporates a wide variety of music genres, including rap, funk, rock, and reggae. The lyrics frequently focus on promoting a “positive message” while at times expressing criticism of mainstream hip hop culture’s obsession with money, fame and glorification of violence. A musician as well as a producer, k-os has written and produced nearly every part of all four of his albums. 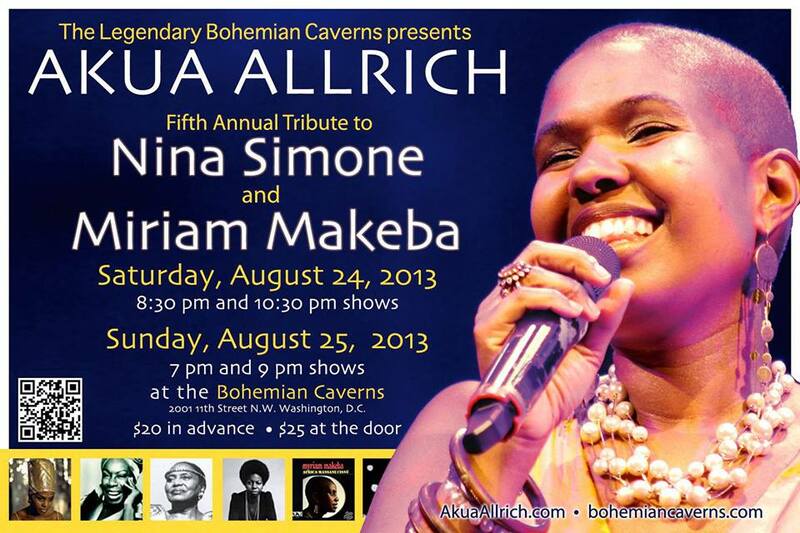 Akua Allrich’s 5th Annual Nina Simone Miriam Makeba Tribute at Bohemian Caverns! 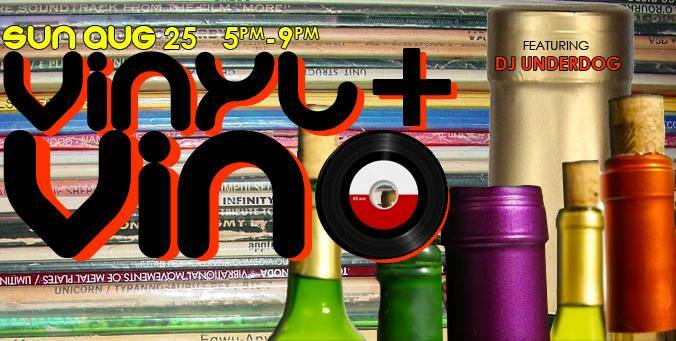 Vinyl + Vino DC brings you another installment of our monthly gathering of music lovers, beat junkies, and vinyl collectors. DJ Underdog spins and shares the inspiration behind his eclectic blends. Join us on a journey celebrating a momentous occasion 50 years ago right here in DC. One of the many poignant speeches delivered by Dr. King, one of our modern-day saviors. So many came to support and so many other lesser known but just as hard-working and visionary spoke. So many others that couldn’t be here watched and/or listened.